To this day, we still do not know the extent of China's penetrations of our nuclear weapons complex. But we do know that its espionage efforts have obtained highly sensitive, classified data on our most sophisticated warheads and that it is now beginning to field a new family of long-range nuclear-tipped ballistic missiles based on the technology that comprised the core of our strategic deterrent. Notra Trulock was Director of Intelligence at the U.S. Department of Energy throughout the 1990s. In this spellbinding book, he takes us inside the U.S. nuclear labs. He describes how he came to suspect that Chinese spies were compromising our security and how the trail he followed led to Wen Ho Lee. Trulock tried to warn the President and Congress. When he was ignored, he blew the whistle, creating a domestic crisis for the Clinton administration and forcing it finally to address the security breaches in our nation's nuclear weapons complex. 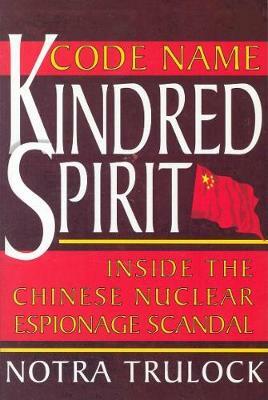 "Code Name KINDRED SPIRIT" takes us directly into the murky world of nuclear espionage. But it is also a daunting story about the fate of the man who brought the bad news. After the scandal broke, Trulock found himself the targeted by the Clintonites who resented him for speaking out. He was smeared as a bigot and a mentally unstable alarmist. When he attempted to tell his side of the story, the FBI tried to silence him by claiming he had revealed classified data. He was demoted and driven out of government, his career and his personal reputation ruined. "Code Name KINDRED SPIRIT" tells the inside story of one of the major spy scandals of recent years. It reads like a Le Carre story told by Franz Kafka.